Speaking of seeding grapes, the harvest from New York’s upstate wine region is in. Each and every variety is unique and the season is so fleeting that you can blink and they are gone. 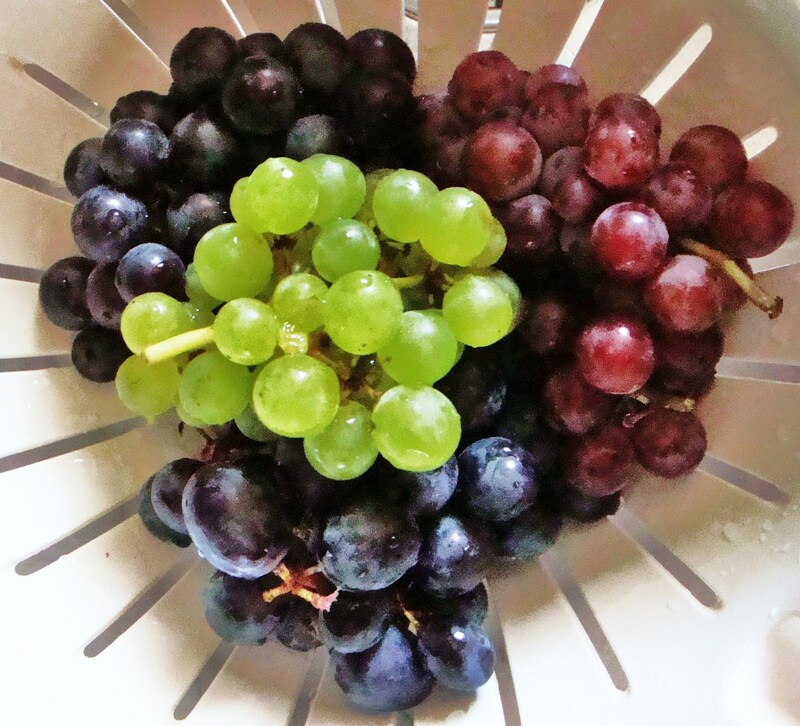 The varieties at left are all seedless, by the way. Clockwise from top left: Jupiter, green Lakemont, Canadice and Mars. The dark purple ones have very tannic skins, as might be expected, Mars more than Jupiter. You can start to taste how varietals affect wine blends. 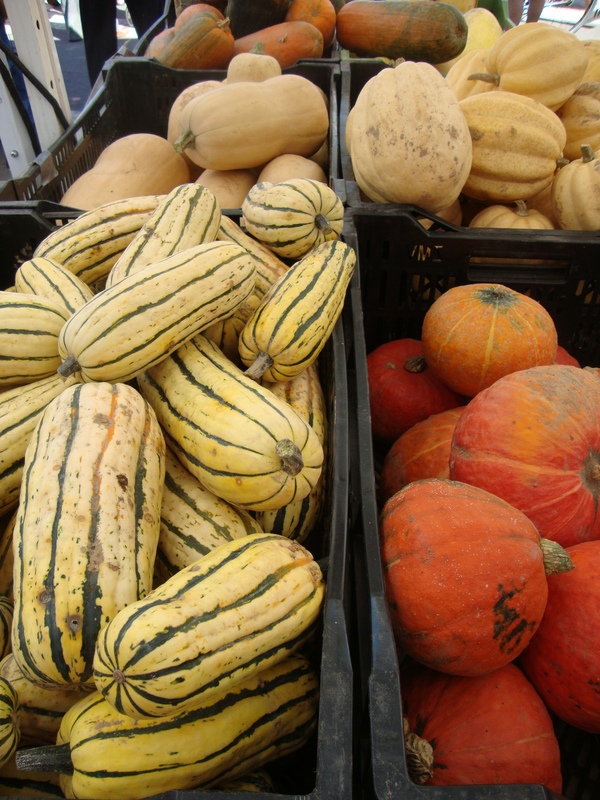 It’s that slightly disconcerting time when the seasons collide, with the late summer crop turning over to apples, pears, potatoes and squash. Still, September remains an embarassment of riches and it’s about this time every year when the urge to start layin’ in stores for the winter kicks in. Time to fill the freezer and pantry. And make apple pie! For the guys! Then my eye starts roving to earthier tastes like these interesting little Piopinni mushrooms. 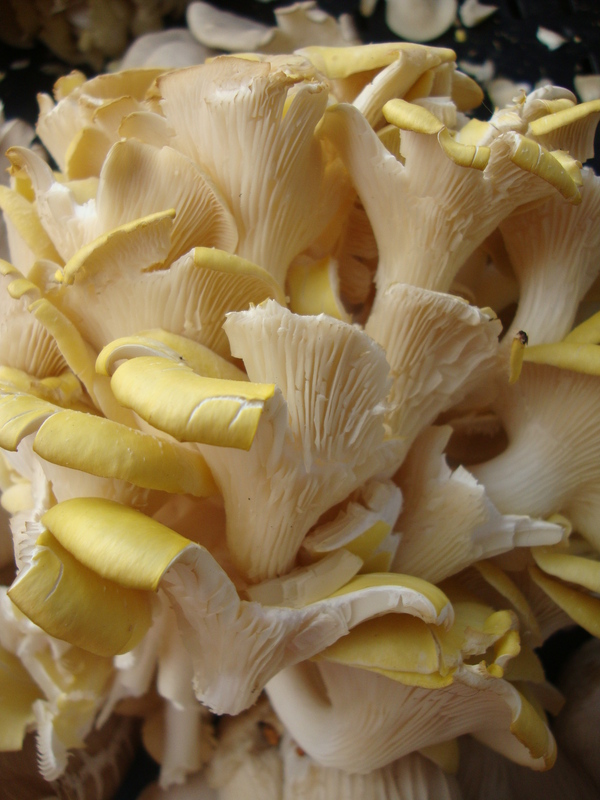 They have a very dusky smell and taste, reminiscent of morels when cooked. Sauteed them in some butter, took them off the heat and tossed in a handful of baby arugula, then folded it all into an omelette. 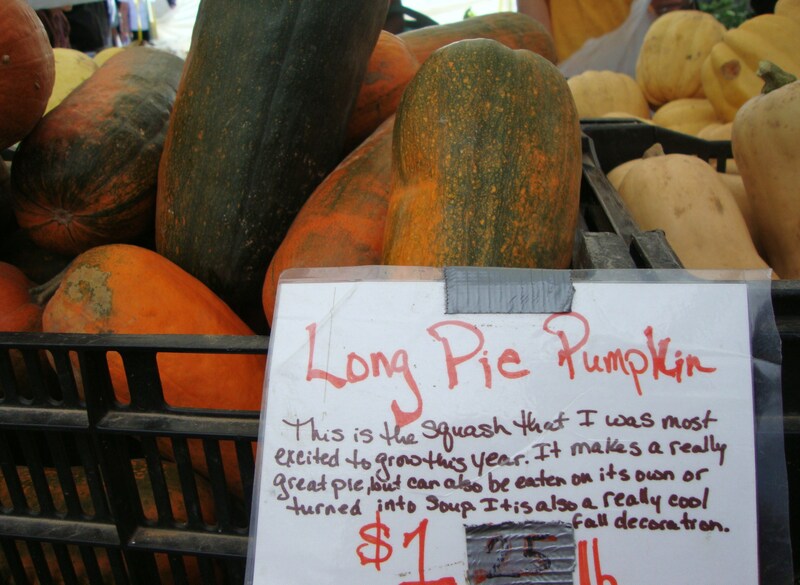 And like the grower of all these lovely squash, I’m also looking forward to trying the long pie pumpkin. Though couldn’t bring myself to actually purchase any, just admired from afar for now. It’s still officially summer, after all. 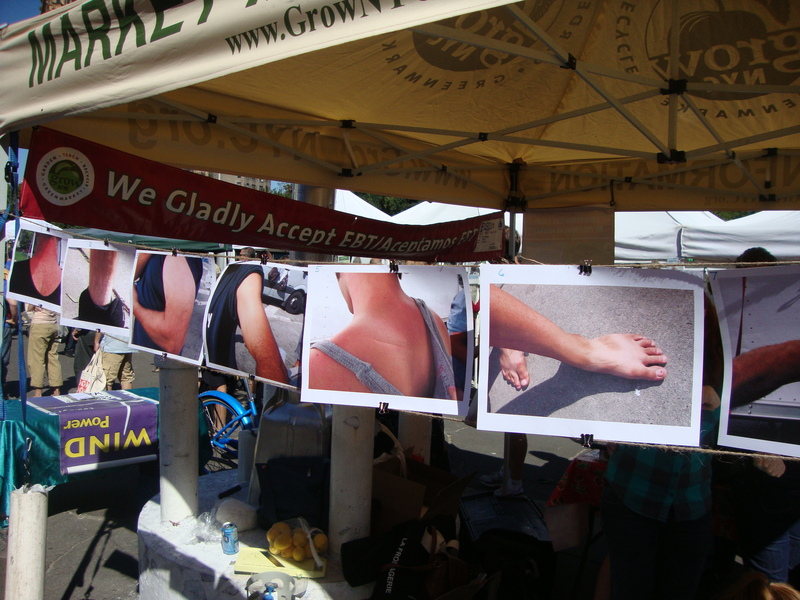 Finally, in thanks to those who toiled all summer in the broiling heat, a lineup of farmers’ tan photos was put to the popular vote at the local greenmarket. Don’t know who won, but my vote went to the nice, strappy sandal marks on that foot.